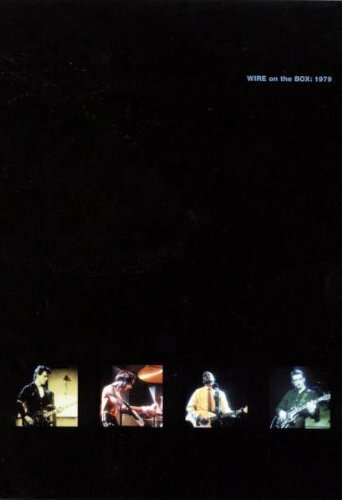 Wire on the Box: 1979 is a live album by English rock band Wire. It was released on 4 October 2004. CD/DVD track listing	No. Title	Length	1. "Introduction" 2. "Another the Letter" 3. "The 15th" 4. "Practice Makes Perfect" 5. "Two People in a Room" 6. "I Feel Mysterious Today" 7. "Being Sucked in Again" 8. "Once Is Enough" 9. "Blessed State" 10. "A Question of Degree" 11. "Single K.O." 12. "Mercy" 13. "40 Versions" 14. "Former Airline" 15. "A Touching Display" 16. "French Film (Blurred)" 17. "Men 2nd" 18. "Map Ref. 41°N 93°W" 19. "Heartbeat" 20. "Pink Flag" DVD bonus feature	No. Title	Length	1. "Interview"
If you have any questions about this product by Pinkflag, contact us by completing and submitting the form below. If you are looking for a specif part number, please include it with your message.